Autobiographical Trace Fossils coincides with the opening of Halperin’s largest public commission to date, as Artist-Curator of the geology collection for the new Shrewsbury Museum and Art Gallery, in the birthplace of Charles Darwin. For the exhibition Autobiographical Trace Fossils Halperin presents a collection of works including prints, watercolors and a limestone cave cast. The work explores her longstanding fascination with geological phenomena, focused around the generation of new landmass formed inside and outside the body for example Physical Geology (cave cast/slow time) was formed over 10 months in a petrifying spring in France. These works will be seen for the first time in Glasgow, and were recently shown in significant exhibitions in Berlin. Halperin travels widely, recently returning from a research residency in Japan and has a highly experimental approach to her practice. This can been seen in the process used to create the woodblock prints in the exhibition. The artist used original drawings to make laser-cut wooden forms at DCA Print Studio, which were then submerged in the Blue Lagoon, an active geothermal pool in Iceland and left to rapidly encrust with new silica mineral deposits. Returning to DCA, she cut a similar set of woodblocks and used these to make the large-scale relief prints in the series. Halperin is undertaking a major new commission Learning to Read Rocks with Comar on the Island of Mull, launching in May, part of Generation; 25 yrs of contemporary art in Scotland. 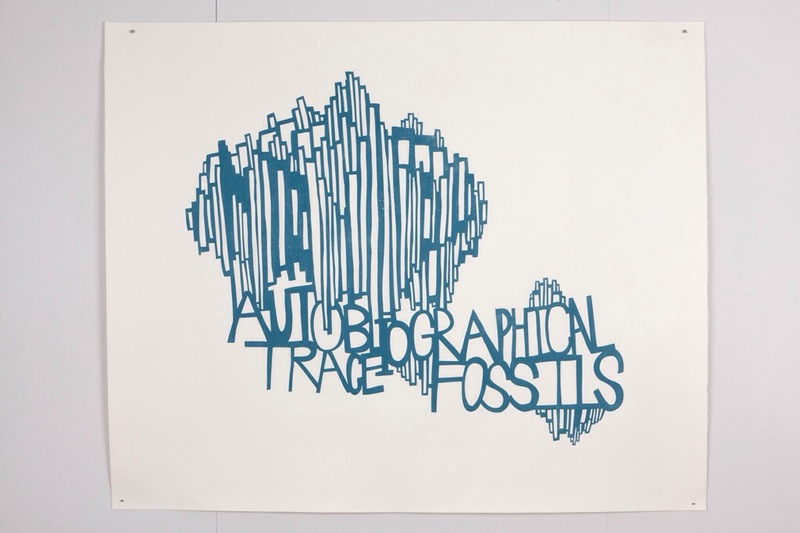 You are currently reading AUTOBIOGRAPHICAL TRACE FOSSILS AT PATRICIA FLEMING PROJECTS at geologicnotes.